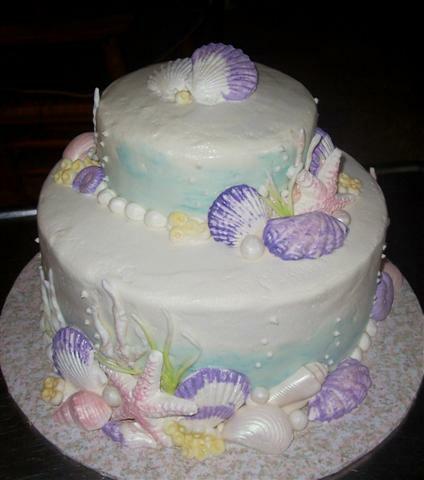 This was for a small wedding on the beach and I thought seashells were perfect for this cake. The bride wanted the color purple somewhere on her cake so I tinted some of the shells and added other colors for contrast. Cake flavor, classic yellow cake with vanilla butter cream and white chocolate shells.